But smartphone sales worldwide have slowed and many iPhone users are hanging onto their older phones. Market studies have shown users don’t consider the newer, pricey models to have enough innovation to justify the price. 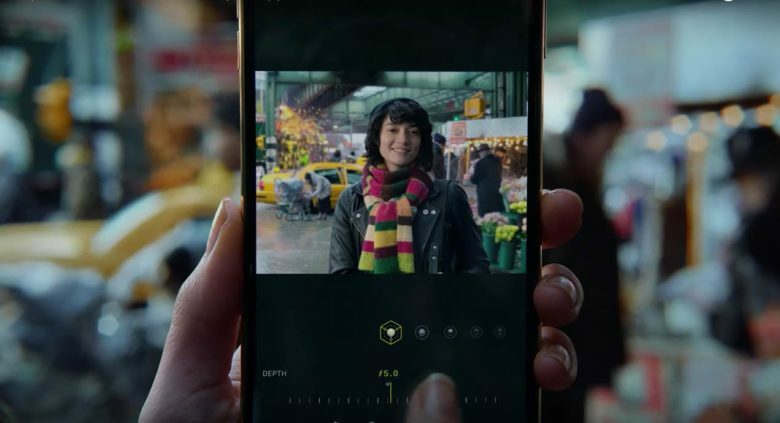 Improvements to the iPhone camera system have always been a major selling point and Apple’s new ad, making its U.S. debuted on Thursday, effectively makes a strong case for what users with older phones are missing by not having Depth Control. The ad shows a hectic New York street scene, pedestrians, traffic with a bright yellow cab and construction with sparks flying from a welder’s torch. The unseen user decides to photograph a friend with this rather distracting scene as a backdrop. No problem. A finger moves from the bottom of the frame onto a slider tool that blends all of the distracting elements into a creamy blur. The portrait background is not new having debuted with the iPhone 7 Plus, however, the newer cameras feature a depth mapping that makes the blur look more natural. Cult of Mac’s Charlie Sorrel went deep on Depth Control in the new iPhones in this how-to story.